I am really surprised that cetain models have not come out in 1/350 scale by Trumpeter, Gallery, MCS, Italeri, Revell Germany, or others. 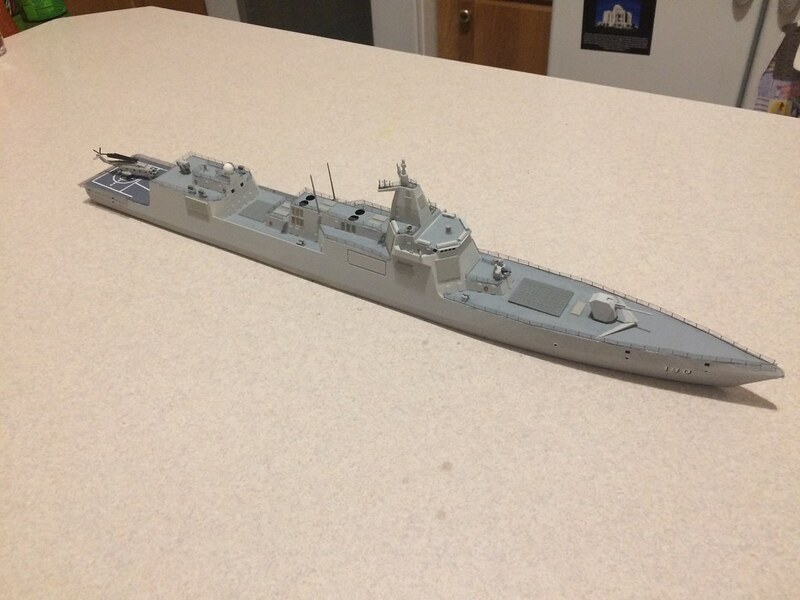 Does anyone know of any plan of the major companies to address these or other cllass vessels in 1/350 scale. 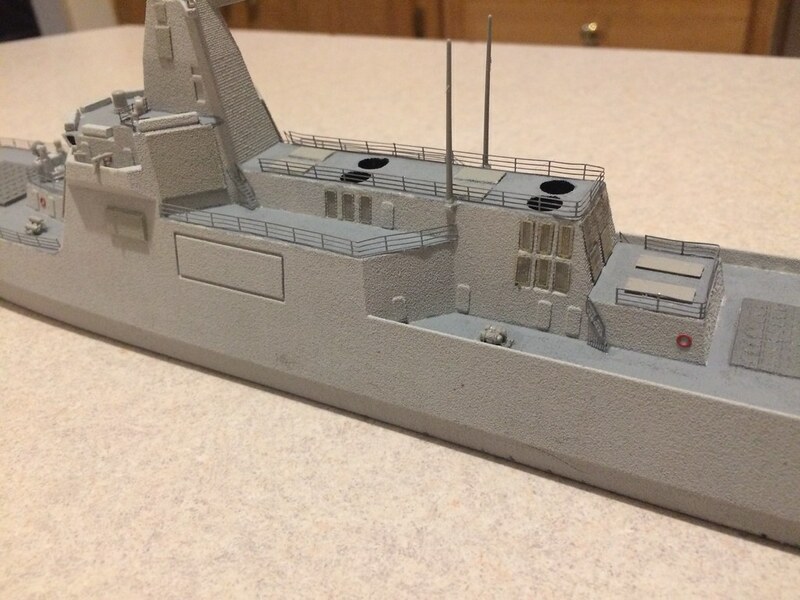 I have built a few of these smaller vessels in 3D print versions that I have then outiftitted and painted...but a good kit would realy be preferable. I have not heard anything about the Queen Elizebeth yet, but as its not yet entered service, i think its a bit soon, i am sure someone is working on it. I do check the new releases on Cybermodeler often and the ships list is rather small. 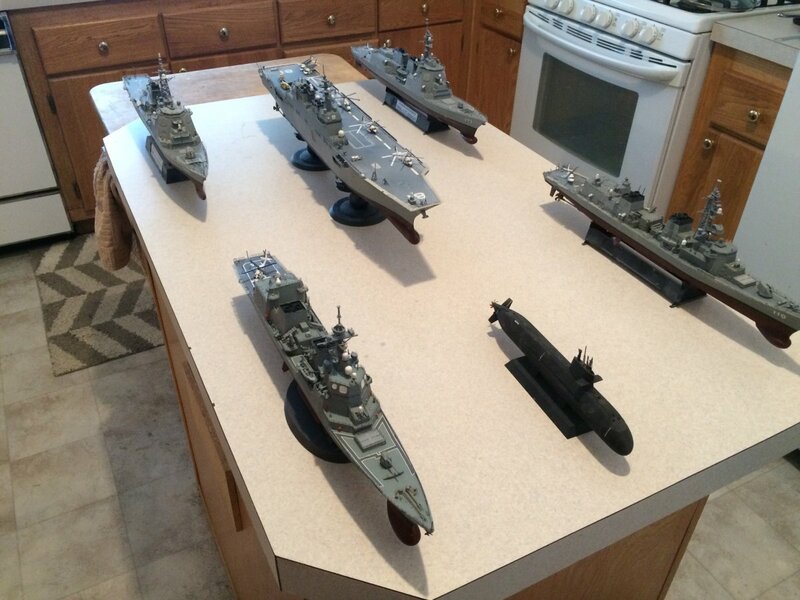 I would love to see 1/350 styrene of any of those, esp. the first 4. Would also love to see some escorts, like the US Navy resupply ships. I'd also love to see the extra planes for the Intrepid model that we all thought Trumpeter would put out. 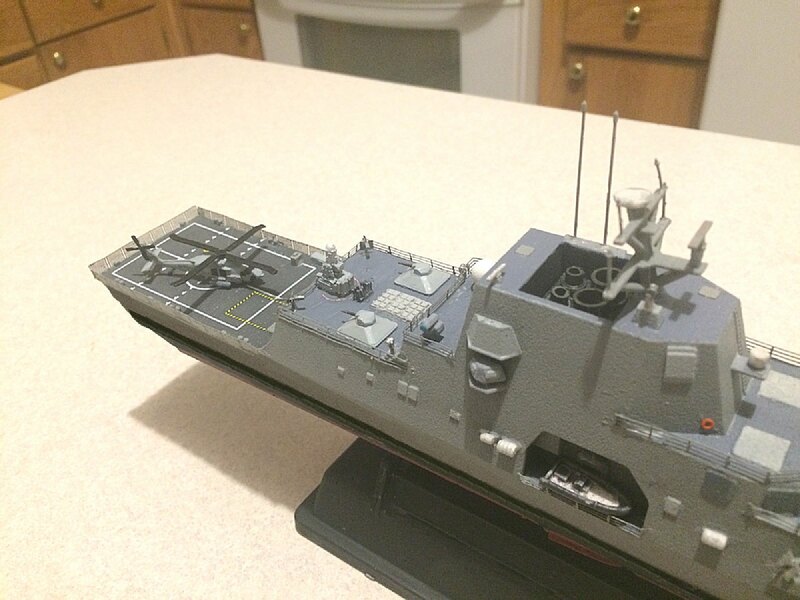 Also a 1/350 Forrestal and a 1/350 Midway angle-deck. Someday! 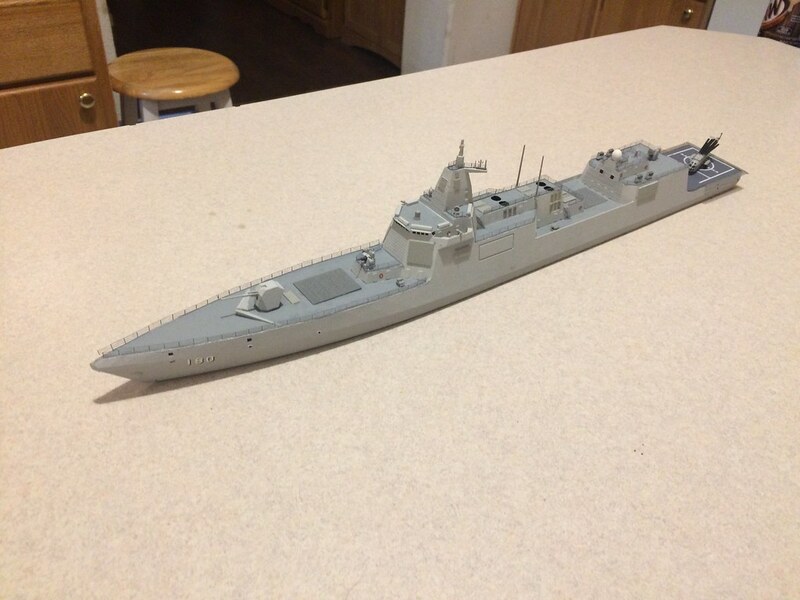 I have purchased several of the 3D printed 1/350 models...all of them from Duct Naval Miniatures on Shaeways 3D printing. 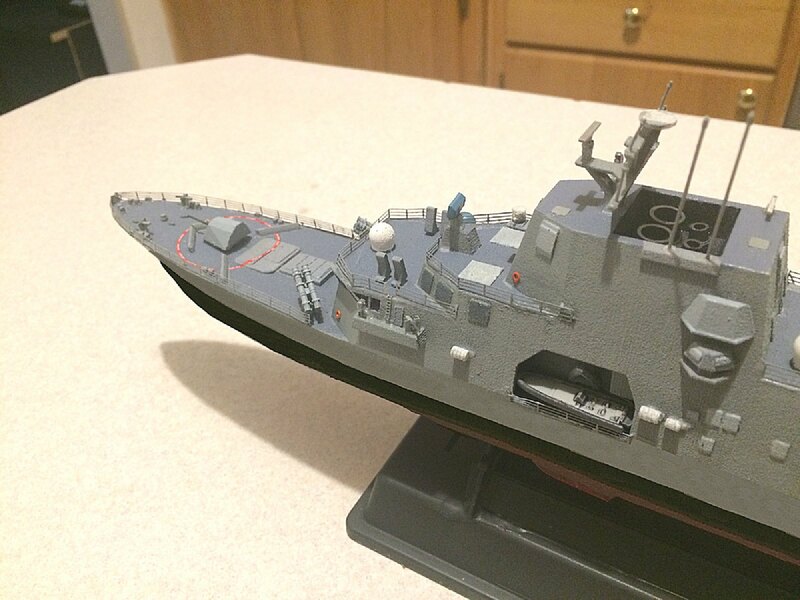 They have put together a LOT of 1/350 scale models you simply cannot find anywhere alse...and for those wwho are price consicious about the 1/350 scale, they have twice as many or more done in 1/700 scale that are very reasonably priced. 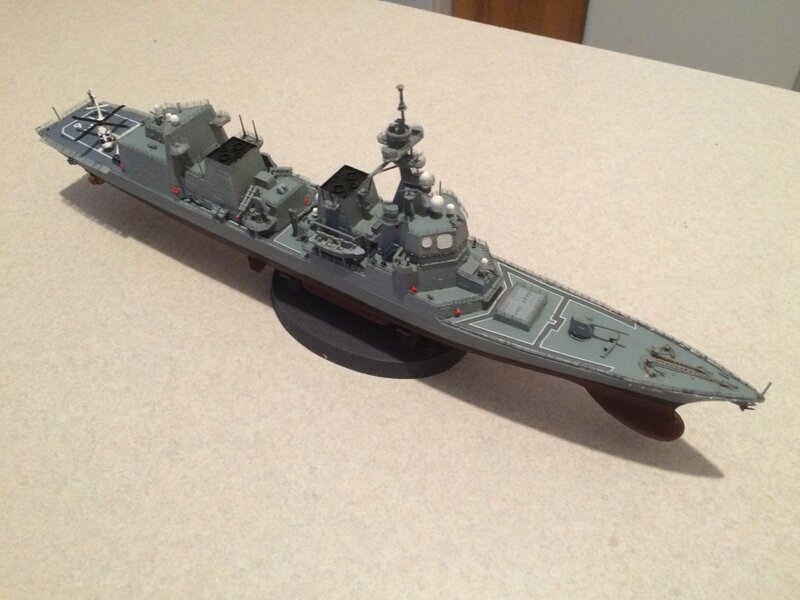 I mght add a Resin kit that most people are unware of, but, like the Resin Kit by Organe Hobby of the 1/350 Harper's Ferry, LSD-49, it is VERY well done and was a real joy to build and was the only 1/350 scale verssion of the model I could find. 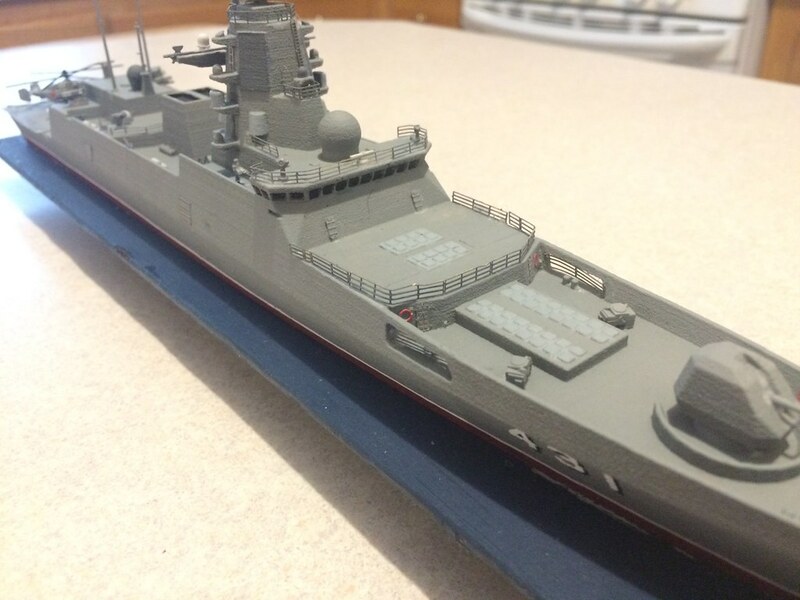 That is the Akizuki DDG for the JMSDF. As I say, it is a resin kit, but it had so many extras and so many metal, and other parts that it ame out very, very well. 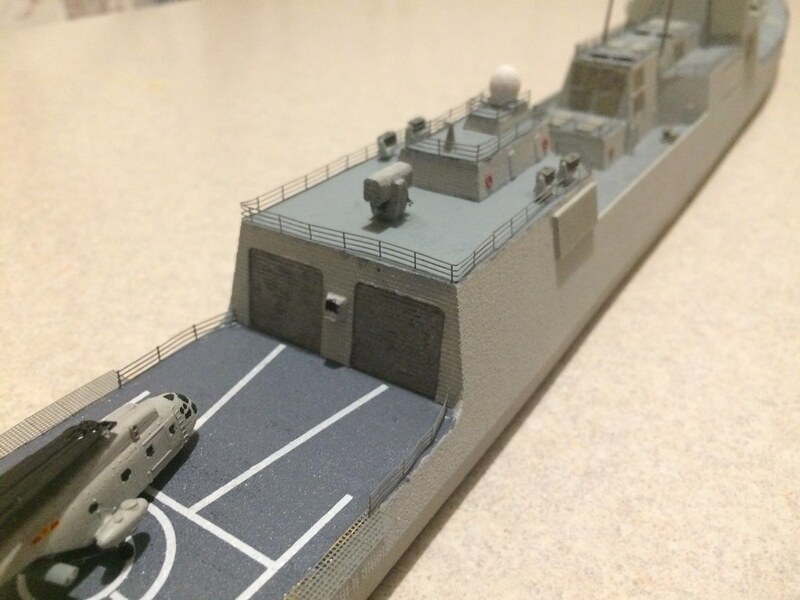 The Japanese built four of them and are now following them up with two more built on the same hull, but armed more specifically for ASW where the first four or more AAW oriented. All six are multi-purpose and the first for use the Japanese FSC-3A battle management system with their own dual APAR radars. They call it the Japanese "AEGIS" and it will allow cooperative engageent with their other six, soon to be eight actual AEGIS destroyers. They just launched the first of their two new advanced Atago class. 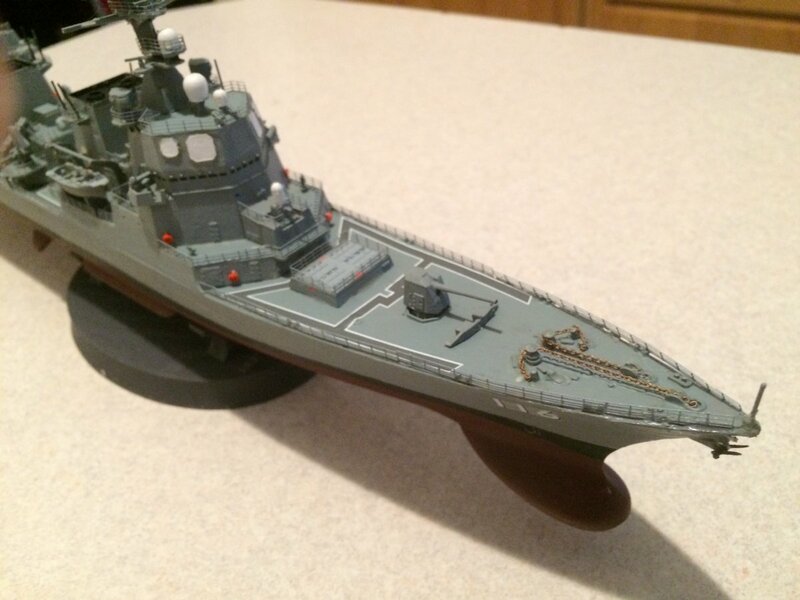 I would REALLY like to see a 1/350 scale Izumo class (two arriers that diplace about 35,000 tons and can carry up to 24 aircraft. They say they are for helos only, but I am sure that if the Japanese get too concerned about the PLANs buildup, you will see them buy 40+ F-35Bs and put them on these carriers. 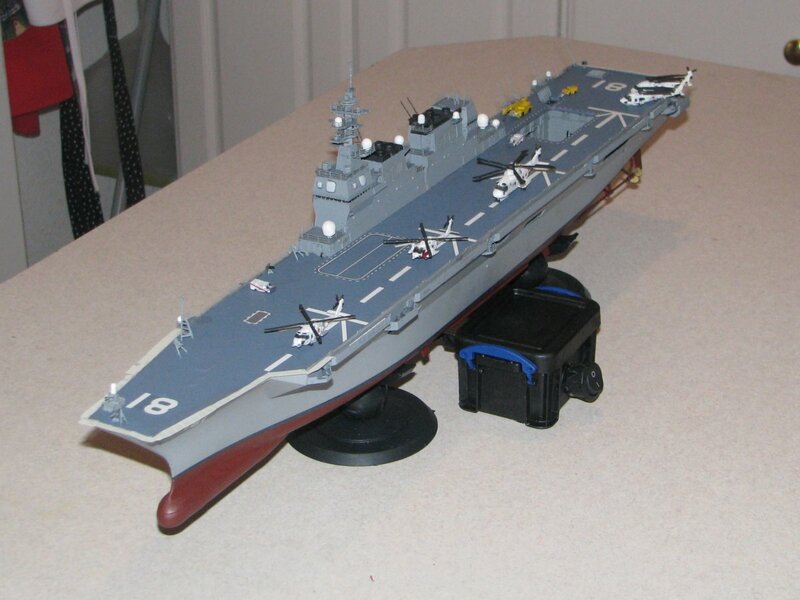 If I ever find a 1/30 scale Izumo, I would load it up with 18-20 F-35Cs. Anyhow...this post turned into a much bigger thing than I intended! 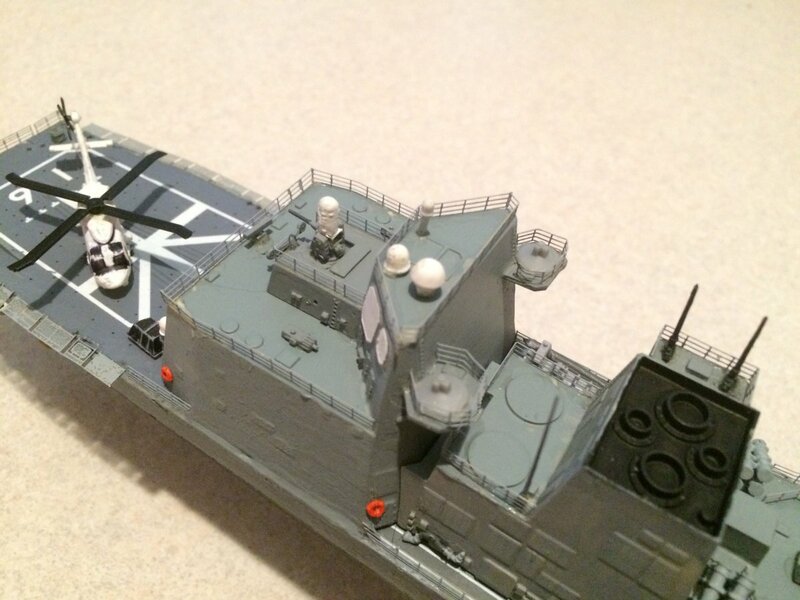 I KNEW there was one missing from your list - that new Japanese 'helicopter carrying cruiser'. 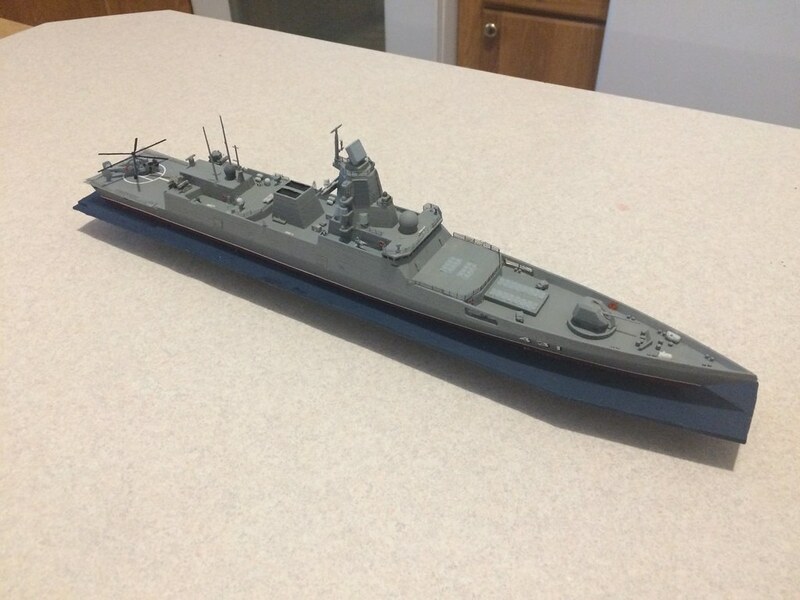 The Japanese have some beautiful ships - I really hope this one comes out in 1/350 styrene. 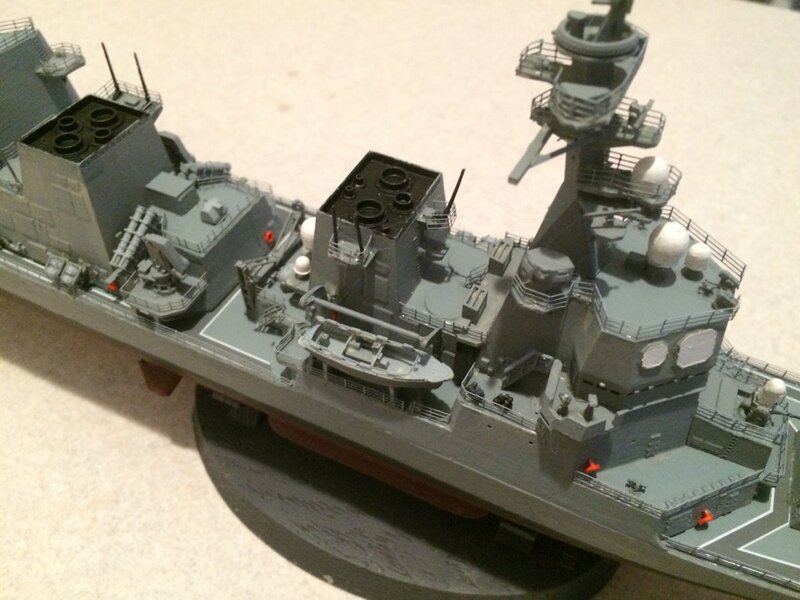 Something else I'd like to see in 1/350 styrene: modern barges and auxillary craft and resupply ships. Yeah, I noticed. A Sacramento in 1/350 styrene is a Holy Grail kit for me. Maybe someday when there are enough Bismarcks and Yamatos? 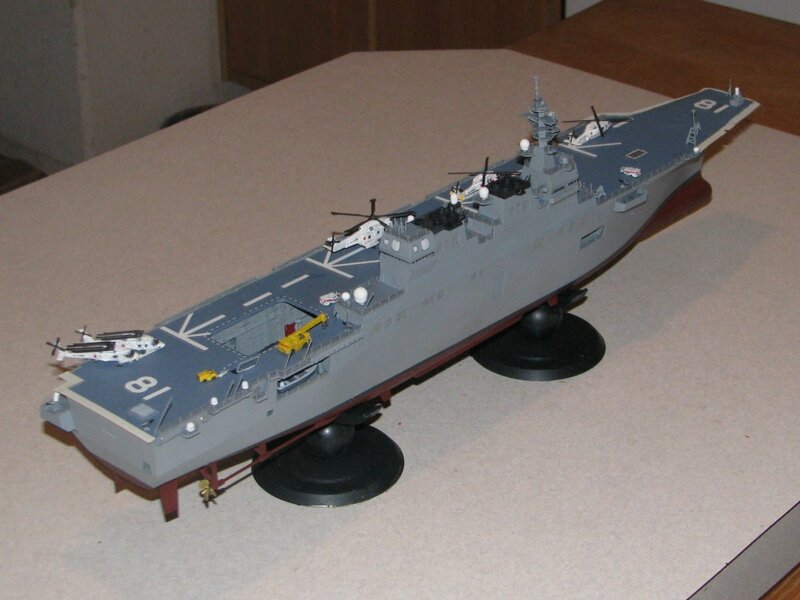 Yjr Ixumo class is larger (32,000tons vs 22,000 tons) and there is a plan the JMSDF has for building up to four even larger, 40,000 ton such carriers specifically for the F-35B which they are now budgeting to buy. 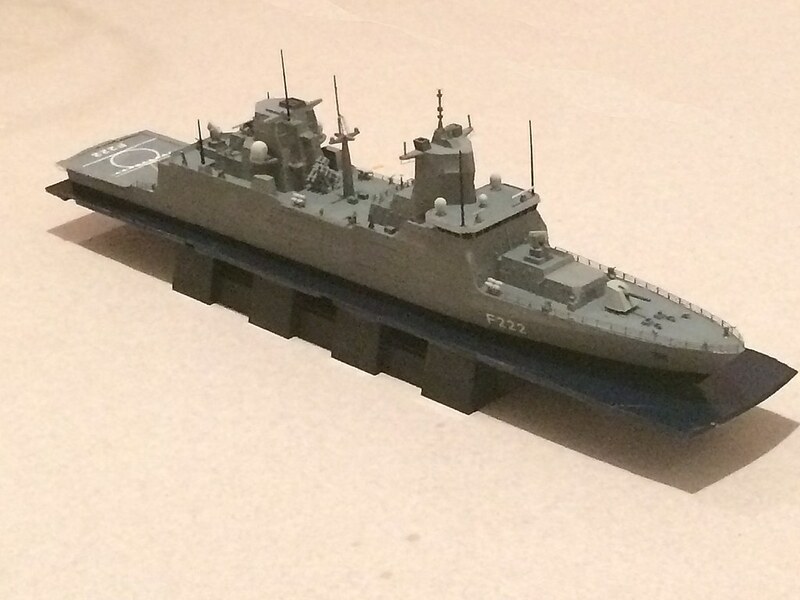 I also have the Fujimi Hyuga - it's a beautiful model. I didn't realize they were going to be building something even bigger than Izumo - they're getting up around Wasp class size soon. It would be nice if the USN could take notes on whatever succeeds Izumo for use on our successor to the Wasp/America amphibious carriers. And while I'm on the tangent, I'm amazed at the American amphibious carriers - they're as big as or bigger than the Essex class fleet carriers of WWII. That's a darned big ship for the gator navy! 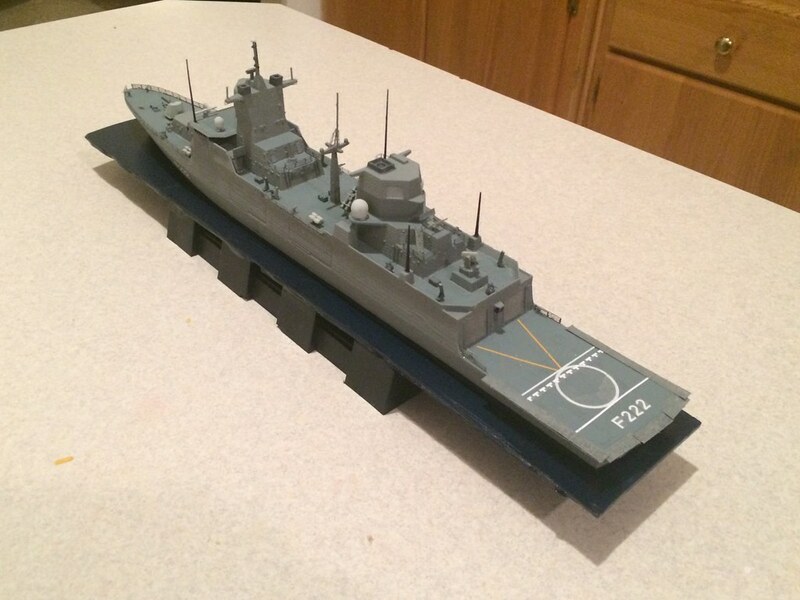 Just wanted to thank you for the great Build/review of the F122 German FFG on your web site. Nice job. Last year I read rumor of an Italian CV model. I paid little attention so not sure if it is the Cavour class. Will keep my "Web-Eyes" open. Trumpeter has been making strides in releasing many PLAN vessels for the Asian market. 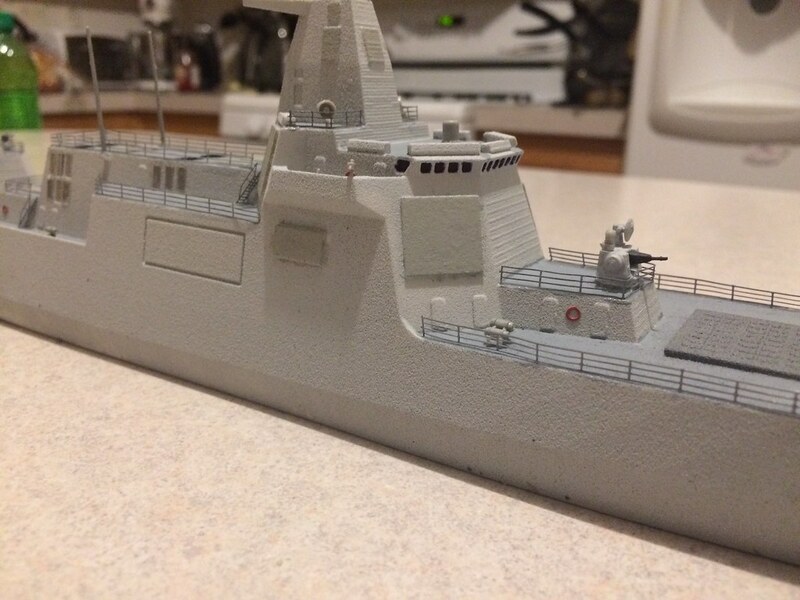 It would not surprise me that a Type 055 ddg could be in progress. Keep an eye on eBay as many of the Yellow-box Trumpeter kits show up there before any US distributer gets one. 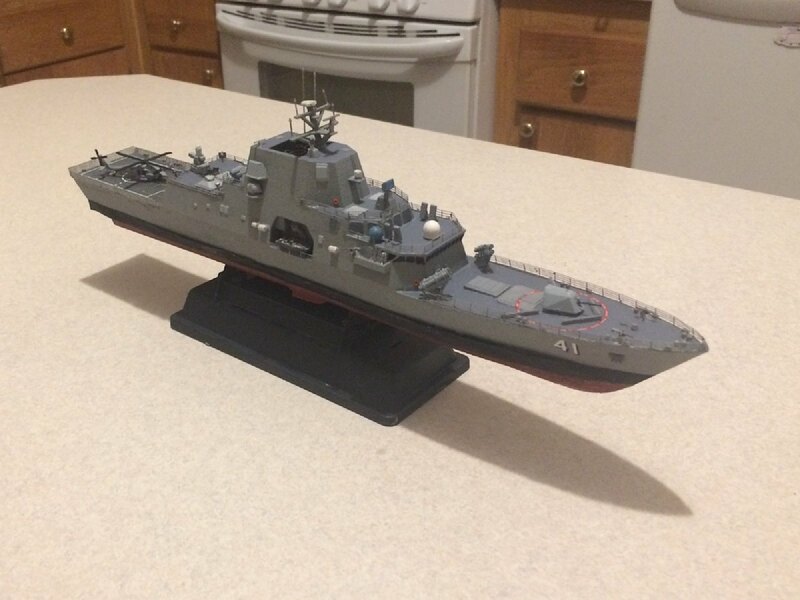 Well, a type 055 ddg showed up on an eBay sale . Made by Bronco supposedly. If it is not fake, it looks like one of your requests may be answered. They are real. 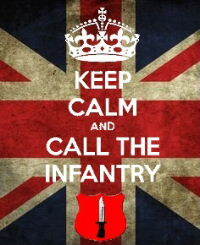 Seen them on numerous sites and read comments regarding them. Very reasonably priced at about $40.50 and free shipping on ebay. 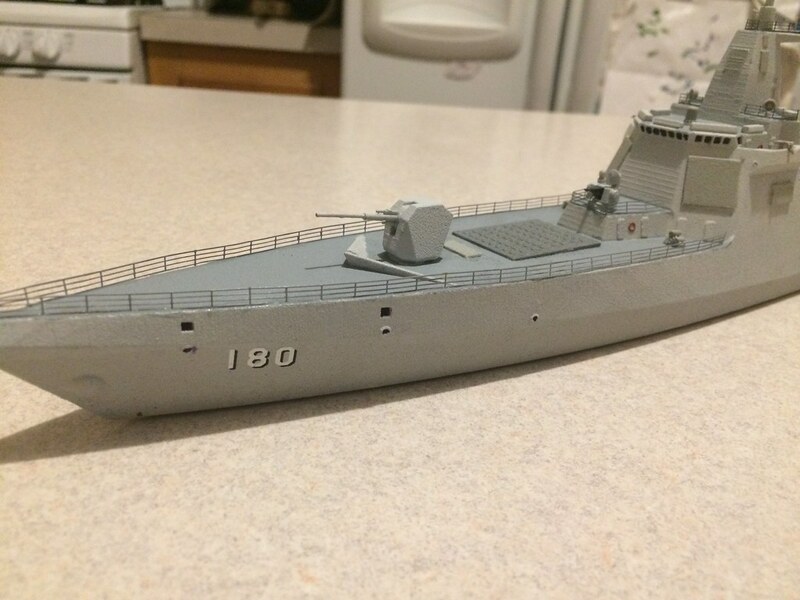 I bought two of them and will put both in my 1/350th CSG. But the full hull and more detail on these new Bronco models will be nice. I'll probably sell my 3D version.